PREPARE: To get the most out of this amazing event, families will want to read together Little Britches, by Ralph Moody. 9:30-12:30 Breakout sessions for adults and youth. This includes a simulation and debrief for the youth. PRESENTERS: World-class Speakers- Dan Ralphs, Nicholeen Peck, Vernie and William DeMille, Brenda Haws, Amber Hopkins and Cherstin and Burton Sparks! Seats at this price are limited. Order early! The Freedom Forum segment begins at the 34:40 minute mark. The Freedom Forum for Families and the Colorado Family Ball are educational and social events for families, to support them in their role as the foundation and fabric of our nation while helping them make and strengthen friendships with other families throughout the state. 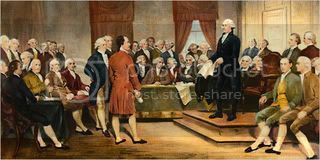 The Freedom Forum acquaints families with the Five American Ideals of Georgics, Providence, Liber, Public Virtue and Freedom. Each year of the Forum focuses on one of the ideals. The Lyceum is an association of volunteers that promotes the Five American Ideals of Georgics, Providence, Liber, Public Virtue and Freedom; and advances the sovereignty of the family. We present educational, social and cultural events for families to support them in their role as the foundation and fabric of our nation while helping them make and strengthen friendships with other families throughout the state. Through our passion for leadership education and liberty, we endeavor to re-ignite within the hearts of individuals their love of family, God, liberty, self-reliance and self-governance. -Classic-Cache Date Night: a couple’s colloquium geo-caching adventure.